Translation:The dog has a long tongue. Of course it does. The English word "language" comes (through French) from Latin lingua, which also means "tongue". As for Russian, the meaning "language" has a long history and might very well be one of the original meanings of the word «язык». And in English we also talk about things like "mother tongue" and foreign "tongue". Tongues and speech have been intertwined for a long time. It's shared the meanings of "lumpy mouth muscle" and "language" since Old English (as tunge); "language" itself has its roots in Latin lingua for tongue, and they both appear to share DNA from Proto-Indo-European dnghwa. In spanish we can use the same word for language and for tongue. It seems that in russian too. I would have chosen dog, but the hint gave 'dogs'. No, "dogs" is incorrect. "У" requires genitive case. "Собаки" is genitive singular. It's also nominative plural, which is why the hint was wrong. If this was plural "dogs" then you would need genitive plural "собак". Wow, your response makes everything so clear. Thank you so much. It's interesting to contrast that for Ancient Greeks, language was related to the glottis (as when we say "polyglot") rather than the tongue. Suddenly confused as to why exactly here we should say собаки and not собака... I'm a hopeless idiot and I never learn! I mean I didn't get it wrong because I could tell it wasn't a plural and thus it must be different grammar rule, but I don't know which one. у is a preposition that always requires Genitive—regardless of which of its meanings you need. Does this mean 'sobaki' is a genitive form of a dog (singular)? It is singular genitive for dog. Is there no word difference for "language" and "tongue"? 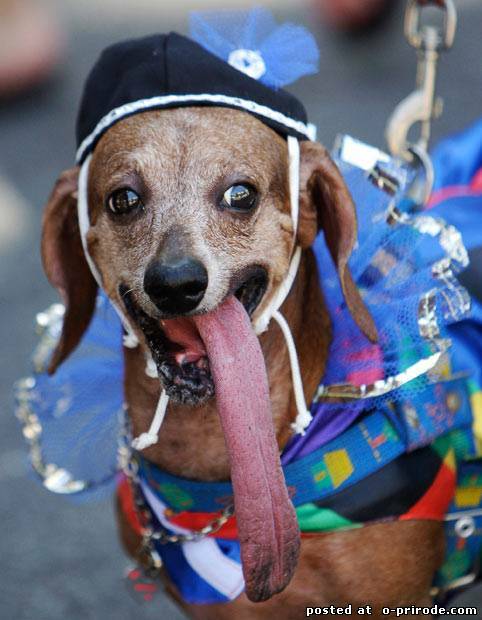 Why is "dogs have long tongues" wrong? Im just a learner so correct me if im wrong but i think that would be: у собак есть длинные языки Where собак is gen. pl. and длинные языки is nom. pl. У моей кошки очень длинная шерсть. Thankyou for correcting me. I forgot about есть not being necessary. What's the difference between долгий and длинный? The dog has a long language!